At the Kilkenny Activity Centre, we believe that having fun as a group is the most important element of any corporate bonding day. Therefore your group will be encouraged to have barrels of fun while competing in a variety of challenges that by their very nature unite the individuals, bolster morale and create a ‘team’ mentality. 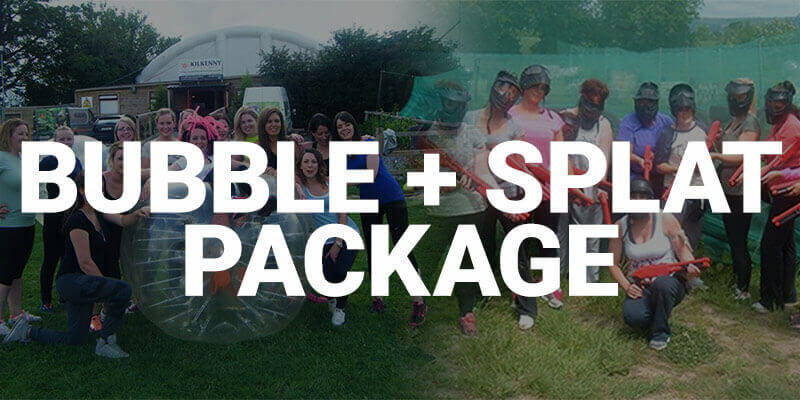 We can tailor all our team building packages to suit your needs thus ensuring the activities are not only challenging and morale lifting for your corporate group but also enjoyable and fun. 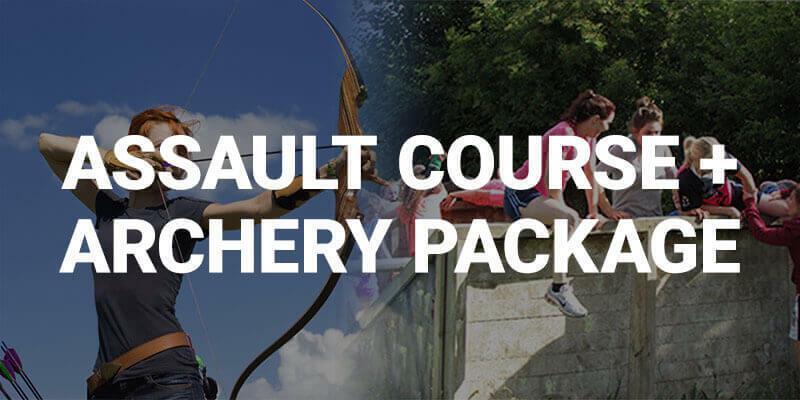 Our activities include Paintball, Splatball, Bubble Soccer, Body Bowling, Foot Darts, Archery Darts and of course our much lauded ‘Hell’s Kitchen’ Assault Course which includes brilliant team challenges, a really fun obstacle course and a water slide that guarantees a barrel of laughs. 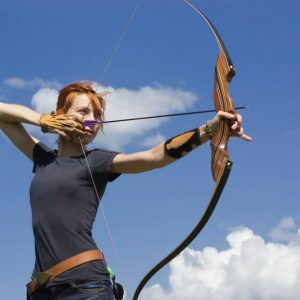 Our diverse range of team building games and challenges allied with the Orchard House Bar and Restaurant can provide a unique corporate bonding experience to include restaurant dining and traditional Irish pub setting. If your group should require overnight accommodation a complete package can be arranged through our sister company Kilkenny Concierge. So Book Now to reap the benefits of a Corporate day out you and your workmates will never forget. 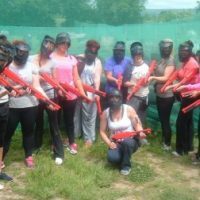 Team Building In Kilkenny At Its Best – That’s The Team Oriented And Challenging Game Of Paintballing At The Kilkenny Activity Centre. Duck and dive through terrain and blast out flurries of multi-coloured ammunition while trying to out-manoeuvre the opposition. Paintball is an extremely entertaining team building exercise but to succeed you need a well-devised strategy, strong leadership and effective teamwork. 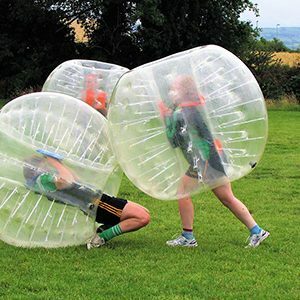 Bubble soccer is a team game where both teams have to devise a gameplan to outscore each other – not an easy task when the opposition treat you like a human bumper car! 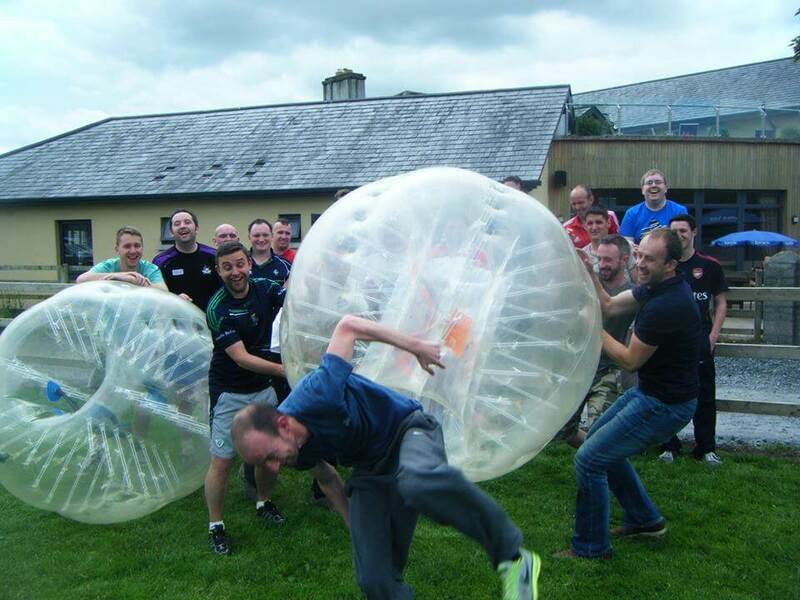 Apart from being a great team building game it is definitely one of the most fun things to do for any corporate group in Kilkenny. Four games in one package! Armed with just your football skills step up to the board and see which of your group can get the highest score in “301”, “Around the Clock” or “Shangai”. If you want to get more competitive play team vs team in a game of Chase the Ace or Cricket! 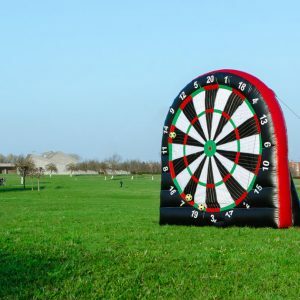 You also get the chance to test your Camogie skills in a game of Hurling Darts or try your hand at Archery Darts with our high-powered bows & Velcro arrows. That’s an exciting, stress free and super fun combo that all the girls can enjoy! 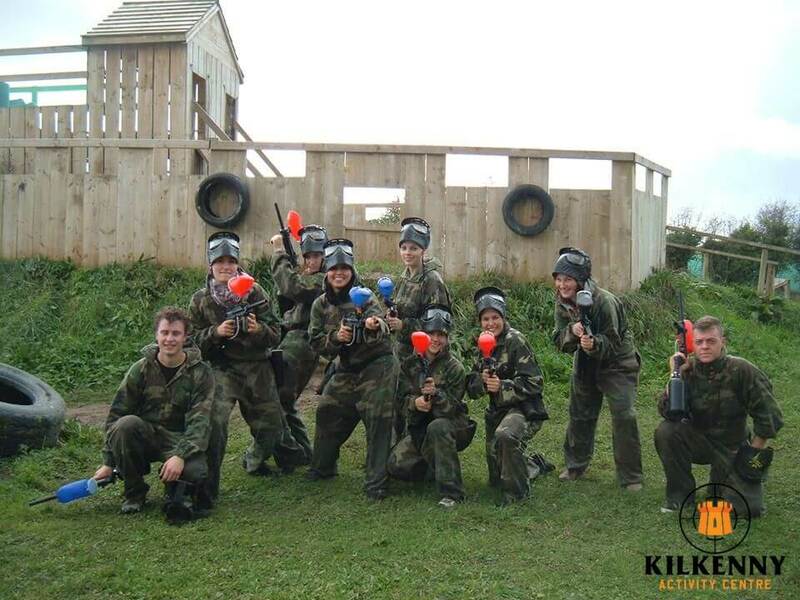 The “Hell’s Kitchen” Assault Course is a great activity for your Corporate team building day out in Kilkenny. Sometimes likened to “Ireland’s Fittest Family but more fun” it offers a range of obstacles to include climbing walls, crawl nets, trenches, mud and a really fun water slide! 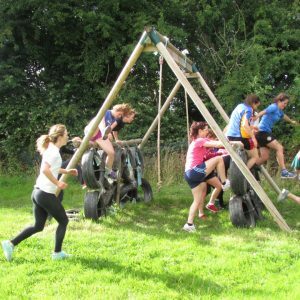 Your Corporate group is divided into two teams who have to work together to outdo the opposition while taking on a variety of team building challenges, mental teasers and, of course, the assault course itself. Points are awarded for each successfully completed challenge meaning only the very best team wins! 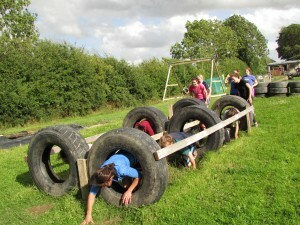 The assault course is an activity suitable for all Corporate groups looking for a really fun thing to do in Kilkenny. 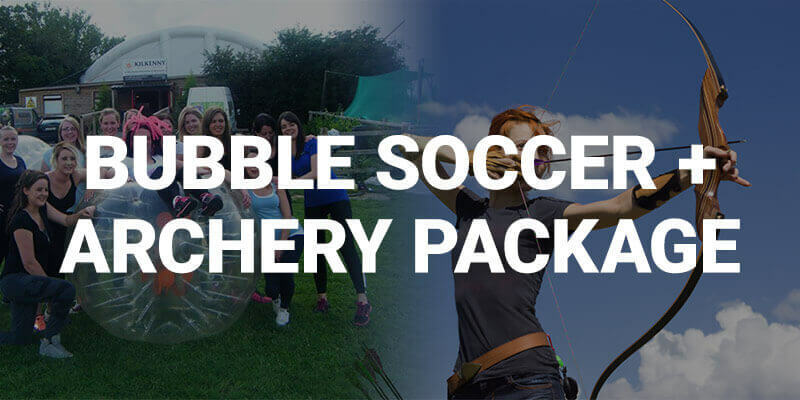 Great as part of a two activity package paired with either Bubble Soccer or Splatball. 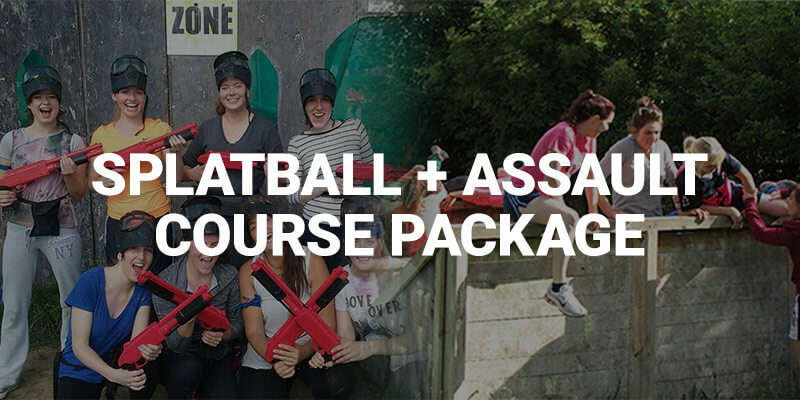 Splatball is a lower velocity version of Paintball making it an ideal activity for your Corporate Team Building day out in Kilkenny. It offers the same adrenaline pumping thrill of Paintball but without the impact meaning it is very popular with mixed groups. 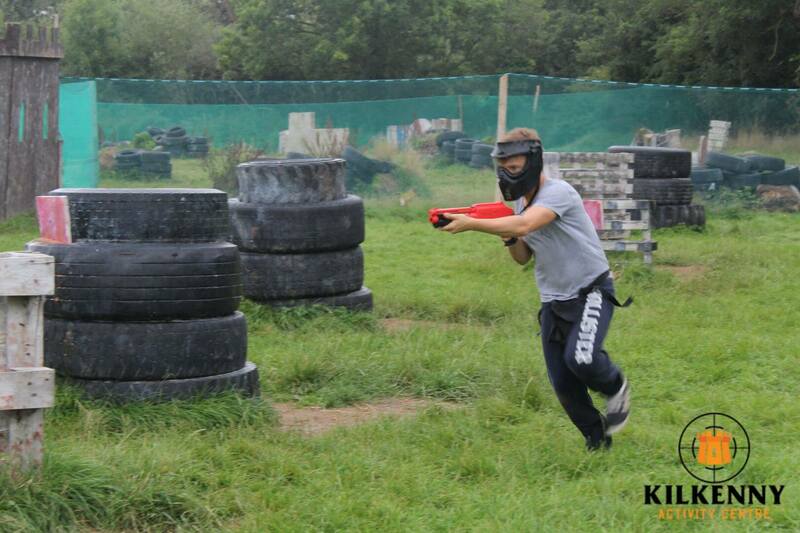 Your corporate group is divided into two teams who must out-think and outgun each other as they duck and dive through the Kilkenny Activity Centre’s paintball arenas. As the battle heightens who will survive ‘The Hunger Games’ or be ‘Last Man Standing’? 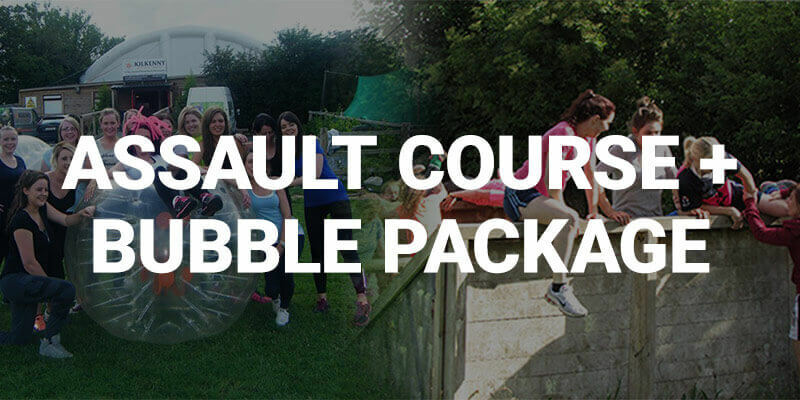 Paired with our assault course Splatball is considered one of the most fun things to do in Kilkenny for any Corporate team building group. 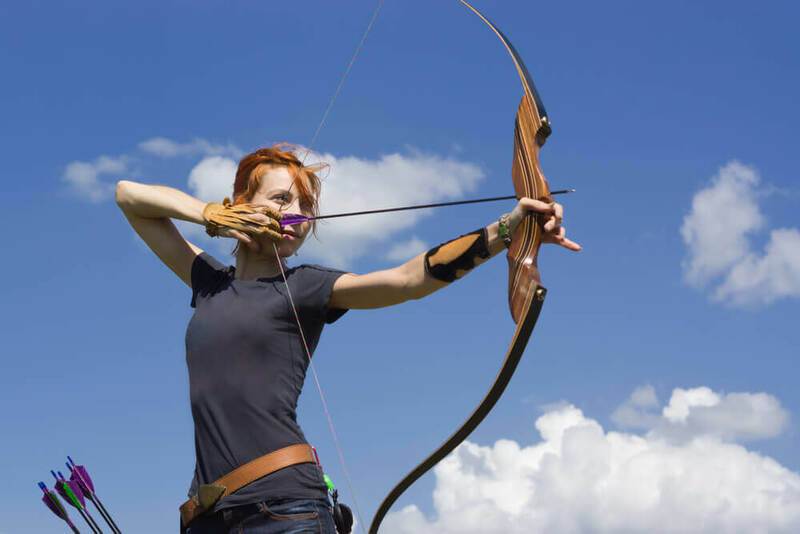 So don your war paint at the Kilkenny Activity Centre and release your inner Rambo! No treasure, but we do give prizes! 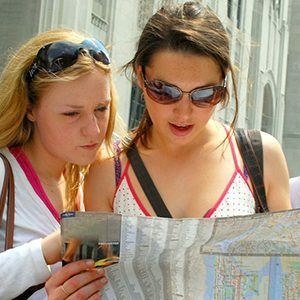 Our Treasure Hunts have proven a really popular activity for corporate groups looking for a more relaxed group bonding day out. Armed with cryptic clues and a bit of imaginative thinking our participants work their way through the medieval streets of Kilkenny whilst solving the allotted brain teasers. However you’ve got to hurry as another team are on the prowl and may well beat you to the treasure! Our hunts can be arranged with finger food and beer tasting en route or dinner afterwards in one of Kilkenny’s top bars/restaurants. Complete corporate packages can be arranged through our sister company Kilkenny Concierge. Don’t bet your life savings! Sometimes there’s nothing like a visit to the races to bring a group closer together. 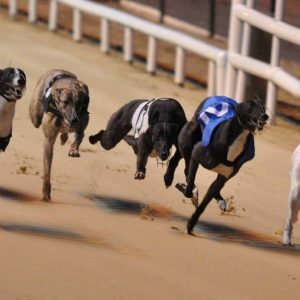 Thanks to our friends at the Kilkenny Dog Track we can offer you a fun night out where all your group can let their hair down in a relaxed atmosphere. 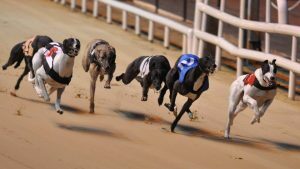 There’s nothing better than picking a winner to get the craic going or shouting your dog on around the final bend to get the adrenaline pumping. Winning as a group makes it so much better! An evening at the races can be arranged with finger food or with dinner afterwards in one of Kilkenny’s top bars/restaurants. 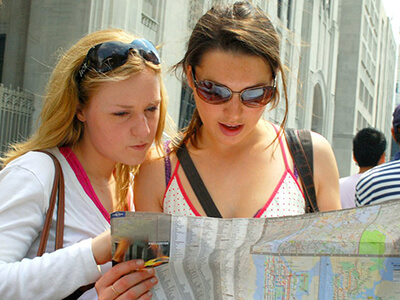 Complete corporate packages can be arranged through our sister company Kilkenny Concierge.